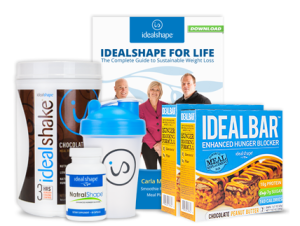 Herbalife shakes vs Advocare: Do we have a winner? 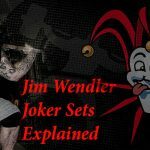 The fitness industry has many loopholes, which gives the supplement industry a chance to cash on the users’ lack of knowledge. And what can customers do when they come across heavily promoted brands of supplements with biased reviews and ratings. Because of the aggrandizement of the supplement industry, companies are able to expend their marketing resources targeting people on their weakest link. This review is about two meal replacement shakes, Herbalife and Advocare. Note that I am not here to promotes these brands and my opinion is going to be strictly professional and facts and figures based. Reviewing meal replacement shakes is my thing now as I have tried most of them. However, it was my first time trying these as I had been hooked on Shakeology for quite a long time now. I hope that with this review, you will be able to make the right decision without any biases. The whole review is going to be a Pros & Cons but I rest assure that it will cover everything. Unlike Shakeology, Herbalife is pretty affordable. In fact, at just $1 per serving, it’s a lot a cheaper than Shakeology’s $4.33 per meal. This is very impressive as far the meal replacements shakes are concerned. Good taste Every meal replacement shake is preferred for its thick, milkshake-like texture because if the meal replacement shake doesn’t taste good then the users are left with very less motivation to continue using them. They don’t get the food or a delicious shake, how long do you expect them to carry on with it? 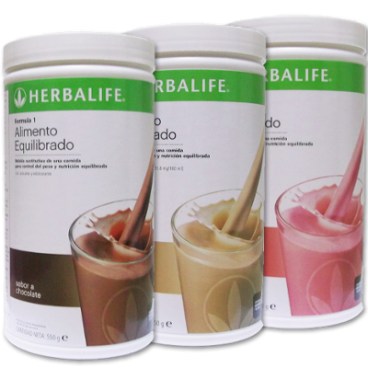 Herbalife doesn’t have a grainy texture, it’s highly mixable and feels almost like a thick, creamy milkshake. Low Calorie Meal replacement shakes are used by those who want to lose weight but still then, it’s hard to make a delicious shake that’s low in calories. Herbalife may not be the best-tasting shake available right but at 90 calories for a serving, it’s pretty good. If you want a meal replacement shake, I would suggest you look into the number of calories. It’s more important than having a good-tasting shake. High in Sugar The biggest downside is 9 grams of sugar per serving which is a lot considering you could get shakes with as low as 1 grams of sugar per serving. We all know that no one use meal replacement shakes for no reason. For weight loss, it’s highly recommended to keep the sugar intake to a minimum. Contains sucralose Sucralose is the sugar substitute, which apparently is chemically treated and doesn’t make you gain weight like the real sugar. But what makes me angrier is that the 9 grams of sugar are above the serving of sucralose. Honestly, I am not a very big fan of sugar substitutes like sucralose, saccharine, etc. because clinical evidence suggests some very harmful long-term effects of using artificial sweeteners. Contains Soy This may not be very intimidating but I must say that it scares me using soy, as a male. Numerous clinical studies prove that soy interferes with the natural estrogen levels of men. Even though this criticism may seem too much, but it’s hard to oversee it’s the first ingredient on a nutrition label. 9 Grams of Protein Are you like serious? You put 9 grams of sugar and the same amount of proteins. Why not I just take some protein powder then. The high protein amount per serving along with low sugars make them so much better than Herbalife. Putting only 9 grams of proteins is just an absolute killer. I am not a fan of meal replacement shakes for the same reason. If you are working out, it’s essential that you add whey to your diet. Getting back to this review, let’s look at what else is wrong with Herbalife. High Sodium Sodium is one quirky way to improve the taste of food so it’s normal for the supplement industry to load their products with sodium. High sodium foods aren’t healthy for the body so it’s essential that you do read the nutritional label before buying a supplement. At 95mg per serving, it’s not the worst I have come across but it’s still quite bad when compared with other meal replacements shakes, including Advocare that I am going to discuss shortly after putting the last coffin here. 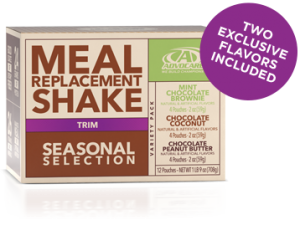 Advocare The other meal replacement I will be reviewing is Advocare. I’ll start in the same fashion; first pros and later cons. Good Source of Fiber A meal replacement shakes needs to have fiber if it needs to stay in your stomach and curb your hunger. Advocare has 6g of fiber which is twice compared to Herbalife’s 3g. Not just that, fiber is the key to weight loss and healthier body as it improves metabolism. 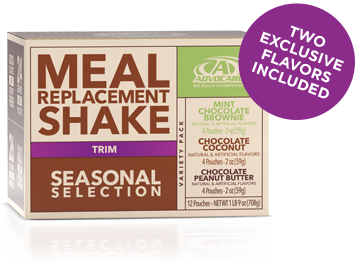 High Protein Amount At a staggering 24g of protein per serving, Advocare is hands down the best meal replacement shake in terms of its protein levels. Proteins are essential for you to have enough energy throughout the day and maintain essential muscle mass. Less Sodium At 80mg per serving, it’s not much of a difference when compared with Herbalife’s 95mg. But I will still declare Advocare a winner here. High in Carbs and Calories 220 calories for a single serving of Advocare is a lot of calories. So far I haven’t seen any meal replacement brand that offers such a high-calories serving. I usually don’t mind getting calories if the source is right but if it’s just carbs and sugars, that’s a no-no. Even higher sugar High sugar is an issue with Advocare also. 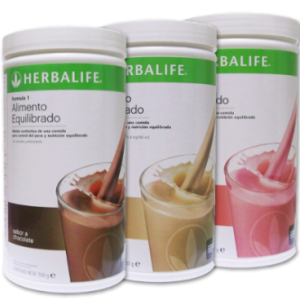 In fact, it has 12g of sugar, compared to 9g on Herbalife. While this may not be a lot of sugar, it’s quite a lot for a meal replacement shake. Moreover, Advocare also includes sucralose in addition to sugars. Expensive Those who use supplements, they know that 24g per serving won’t come at a cheap price tag. But even at $3.35g per serving, it’s cheaper than Shakeology. My Verdict: Do we have a winner? Whether you could use Herbalife or Advocare depends on your health regimen. If you like working out then, the Advocare isn’t a bad option, considering its whopping protein dose. I believe that meal replacement shakes make sense for those who want to lose a lot of weight. Else, you could just eat healthy and still stay lean and fit. But at the end of the day, a good replacement won’t do any harm, if you have the right pick. If I had to choose a winner, I would say Advocare. If you have read the entire review, you would know why.